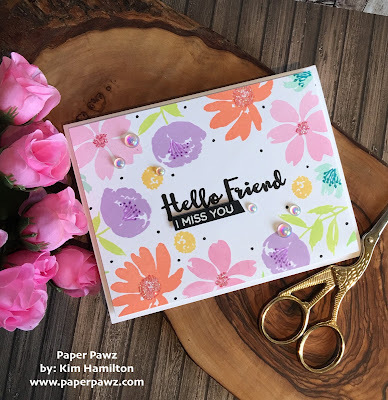 Paper Pawz: Spring flowers with Hello Bluebird stamps! I ordered a series of Hello Bluebird stamps from Butterfly Reflections Ink. 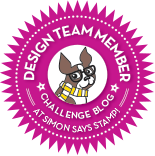 It's a new company and I have to say the whimsical critters and fun designs from this company have my heart going pitter patter. I decided to help jump start spring (at least physiologically) and use these beautiful flowers from the Send Flowers set. I decided to make my own background and used the beautiful Catherine Pooler Inks in It's a Girl, Party Dress, Peach Bellini, Polished, Tiara, Sweet Sixteen, Pixie Dust, Mint to be, All that Jazz, Melon Ice and Lime Rickey. I love these inks so much, there is no need to use a stamp positioner because I never need to double stamp! 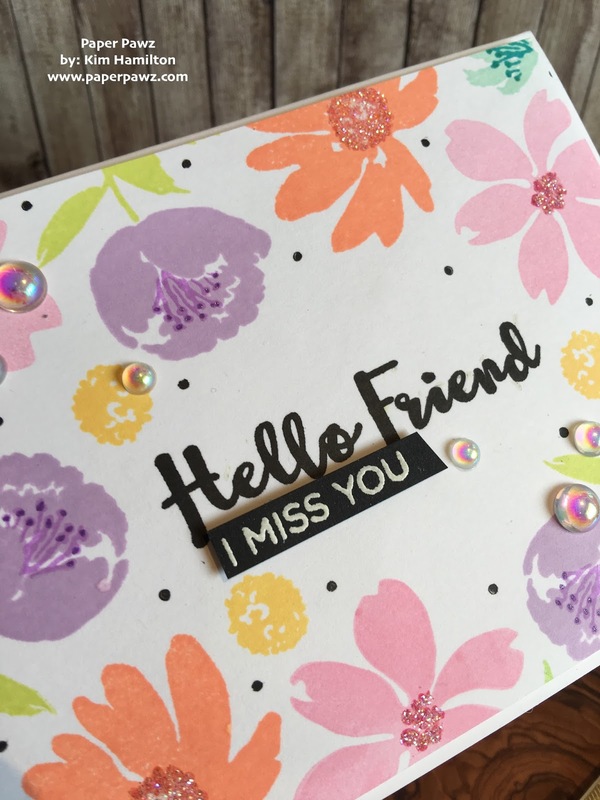 Once all my flowers were stamped I went in with the small dot from the same stamp set and added a few in Midnight black. 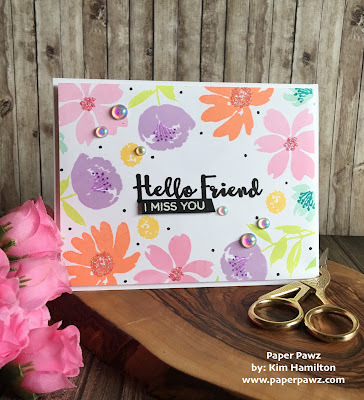 I then stamped the Hello Friend sentiment from the same set and an additional sentiment from the Spring Script set that actually says I Miss Your but I masked the "r". I then added some of the beautiful new Studio Katia Iridescent bubbles. Many of my dearest friends live at a distance so I can never have enough of these types of cards. But this one is going in the mail this week to help cheer someone up that may have the late winter blues!